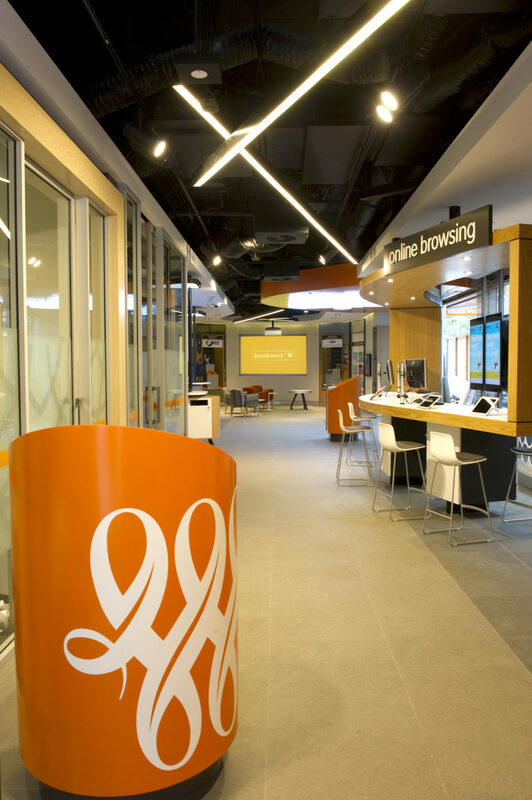 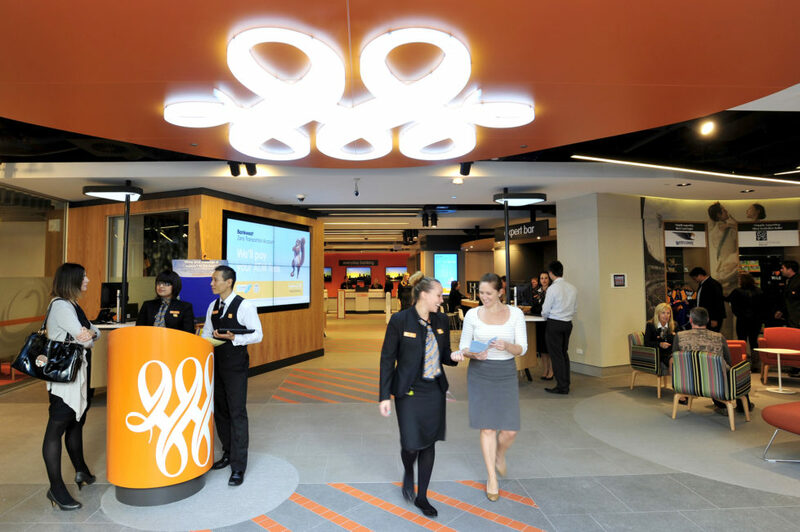 Our design team worked closely with CBA Group Property to push the Bankwest brand even further than before, with zones for innovation and future-proofing. 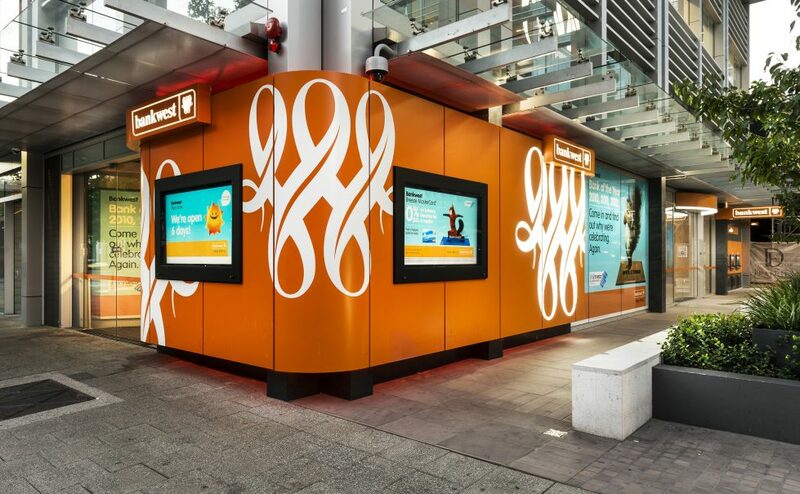 At the same time there was a requirement to link the design with the 116-year history of the Bankwest brand and with the local WA community. 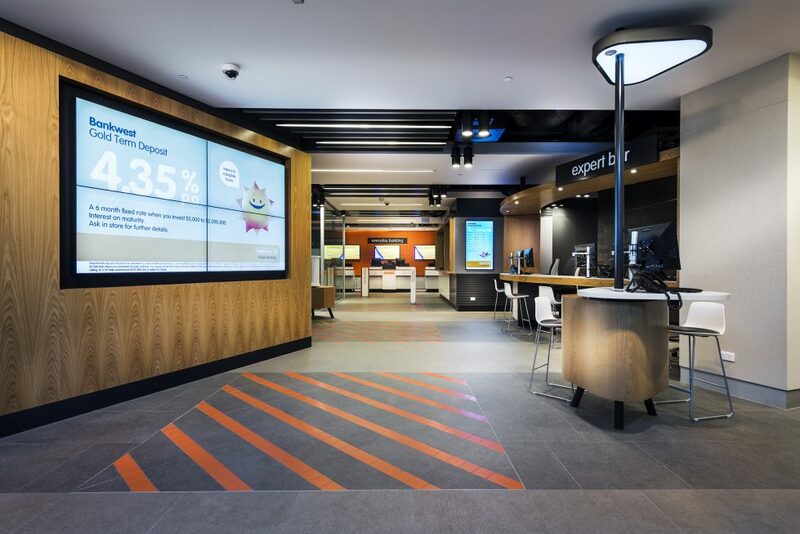 Traffic-style markings evocative of pedestrian intersections create a directional, striped floor, and vertical signage pylons act as speed bumps, assisting with customer navigation. 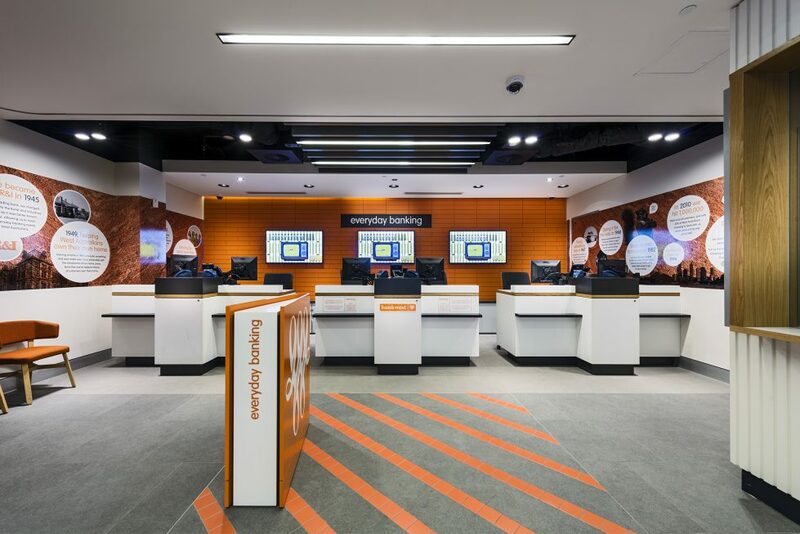 Standing and seated Meeting Hubs for fast, easy consultations have motion sensor-activated light lenses overhead when occupied. 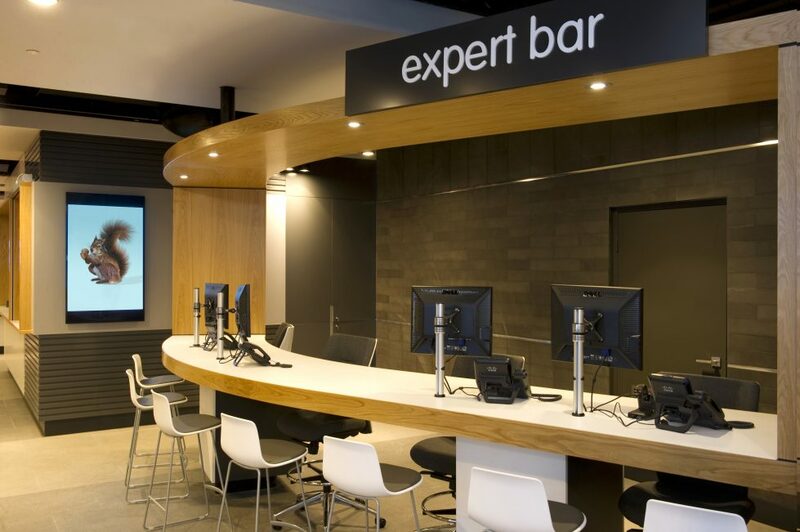 The freeform, suspended Expert Bar portal offers a place for convenient face-to-face advice, and the Browse Bar hosts customer-use PCs, iPads and FREE WiFi. 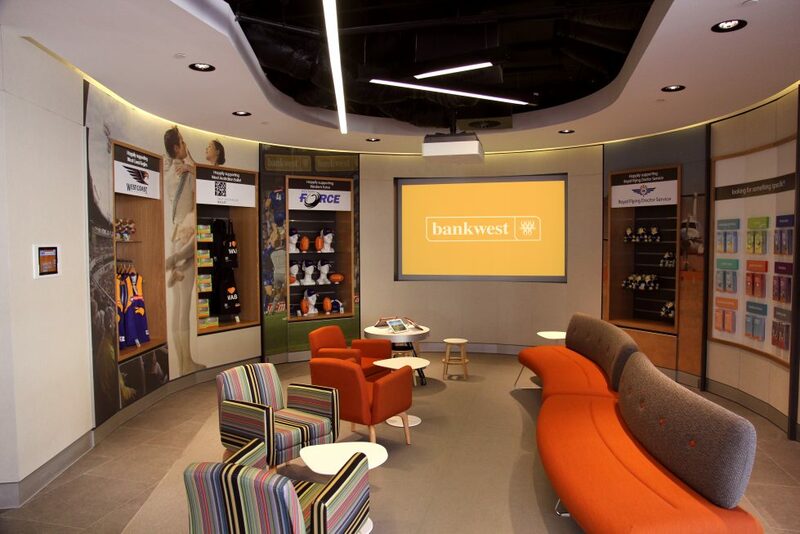 The seminar zone allows for free in-store insightful banking seminars and includes merchandise displays from sponsors. 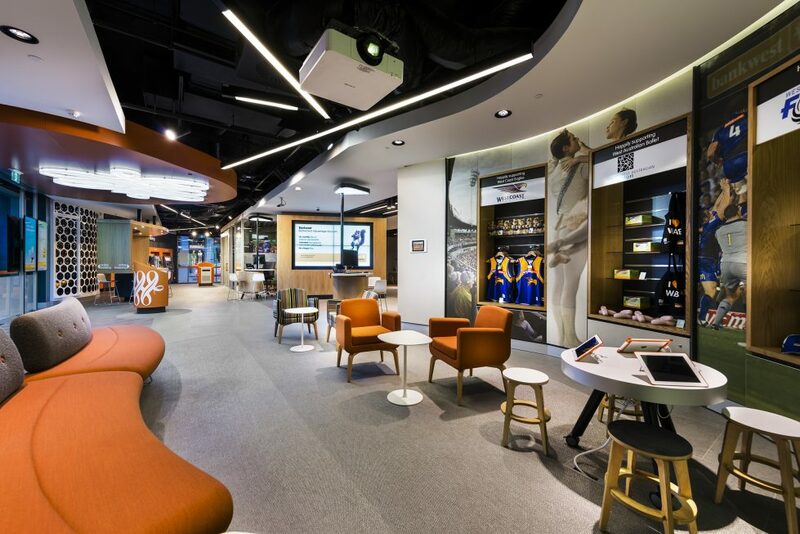 Acoustic echopanel tiles line the drum-shaped void of the community/relax zone offering a comfortable area for lounging and a flexible space for after hours functions, product launches and fundraising activities. 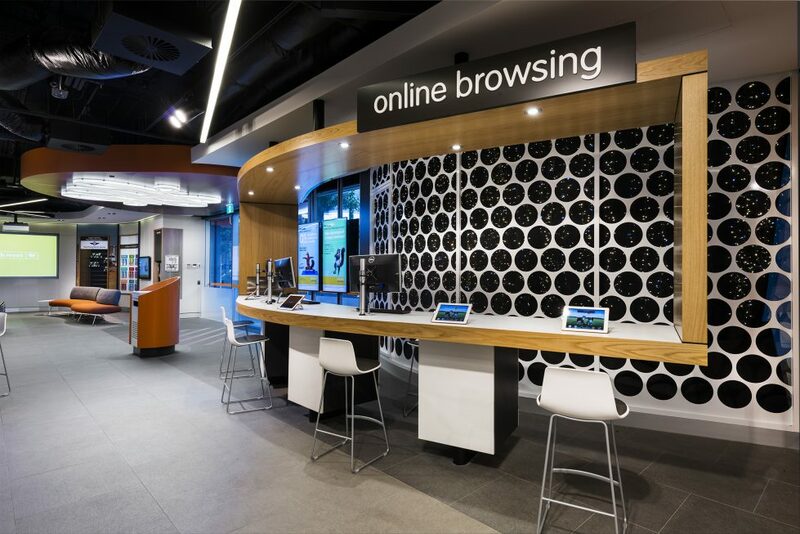 There’s a self-service fast-track zone within the entry bay for regular customers to access with ease, and a series of glazed private meeting spaces for longer consultations. 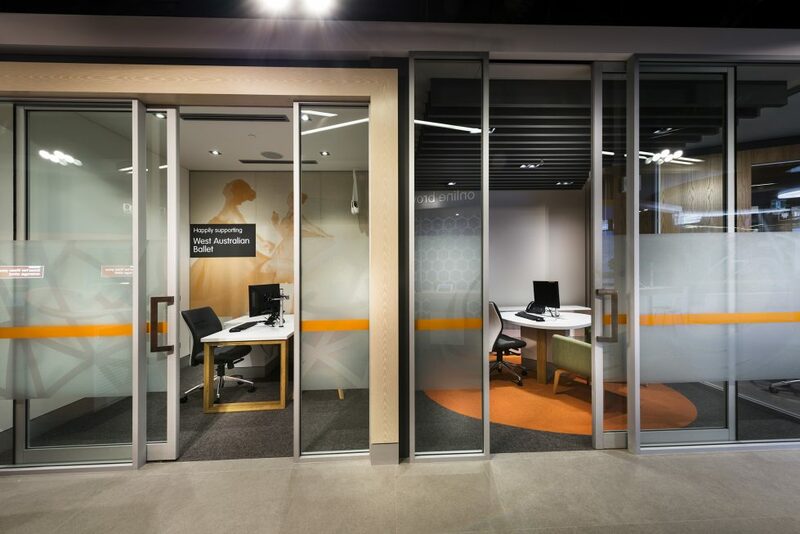 The meeting rooms; part glass, part solid, set at an oblique angle to the traffic flow, feature bespoke graphics of the bank’s sponsorship partners, West Coast Eagles, Western Force, Red Kite, Edmund Rice, WA Ballet and the Royal Flying Doctor Service. 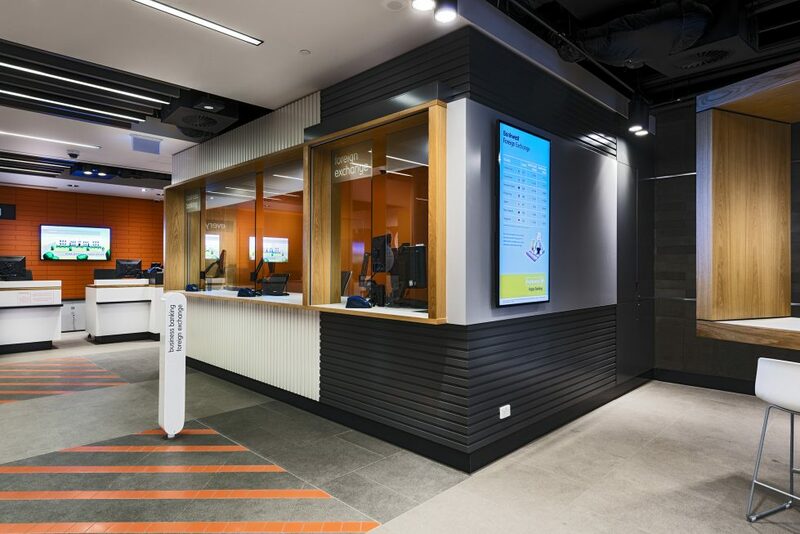 Our design is chosen as one of the ‘14 Unique Bank Branch Designs From Across The World‘ by The Financial Brand.